A long-term solution is yet to be found regarding the electric fence on Petersham Meadows, following a dog attack on a cow last year. There is currently an electric fence on the meadows, which is rotated every six weeks to allow the cows to graze the entire area. 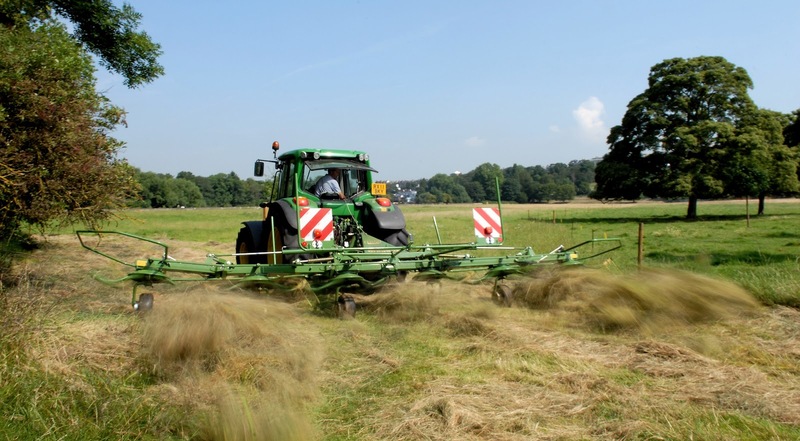 One third of the meadows will not be grazed at all. This is a particularly important area as it has the greatest volume of natural shade. As this area is now un-grazed it is acting as a weed bank with seeds blowing into the grazed section which over time will reduce the quality of the pasture. 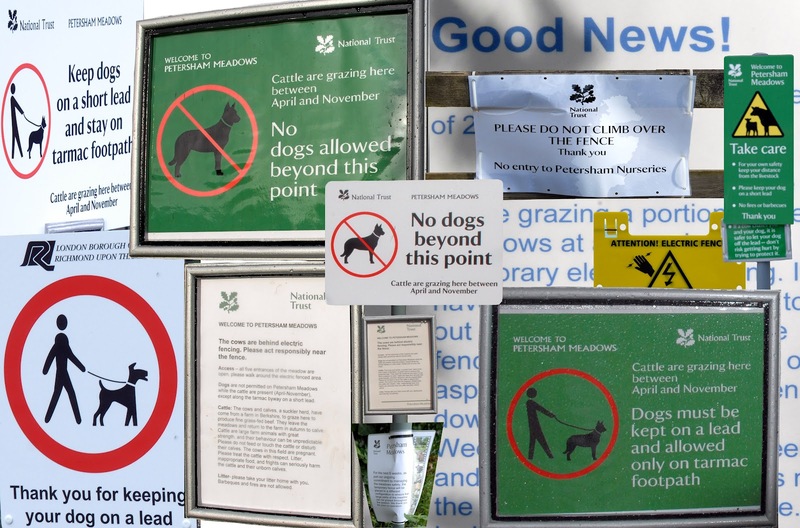 The National Trust said that although there was a dog ban on the meadows, many owners were still letting their pets off the lead. There is a limited dog ban as owners are allowed to walk their dogs on the public footpath on a lead. This was a concern for the National Trust as it follows an incident last year when a cow was attacked by a dog. It was only at the insistence of the local Council that any form of ban was introduced by the National Trust. 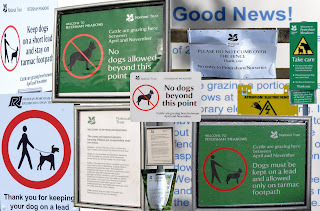 There are signs around the meadows banning dogs and a group of nine volunteers monitor the area to ensure dogs are not let off their leads. The eight volunteers are only able to monitor for a fraction of the week and the herdsman’s hours were reduce this year by the National Trust. By allowing the grass to reach to more than one metre in some areas it is difficult for the volunteers to monitor dogs off the lead. The workload for the volunteers and herdsman has increased with the grazing restriction resulting in increased use of the barn by the herd. 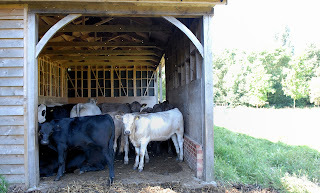 This is often cleaned twice a day; previously the barn would remain clean for most of the season. There is also extra work clearing thistles and other weeds. Thistles pulled up by corporate volunteers under National Trust supervision and then left to go to seed. 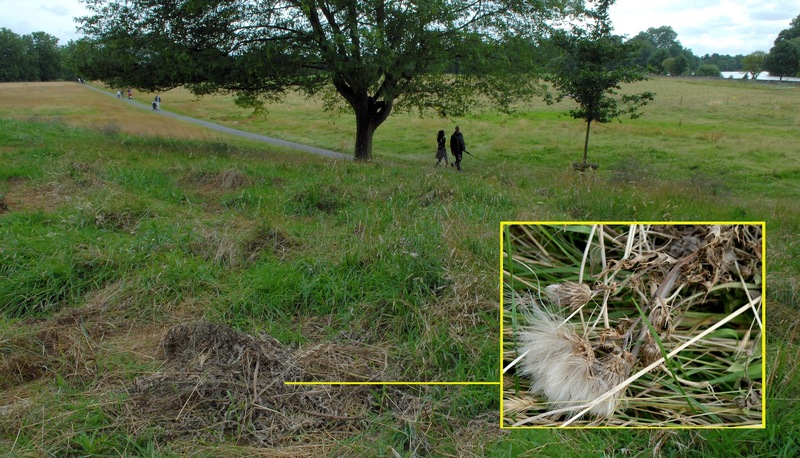 Geri Silverstone, from the National Trust, said: “Dogs on the meadows are an ongoing concern. Nobody is happy with the current fencing arrangements, but while we still have an issue with dogs on the meadows, it’s the safest short term solution.” The fence does not protect the cows from attack as dogs can pass under or jump over with ease. The cows are then trapped and the owner is unable to reach their dog to bring it under control as the electric fence prevents them. The National Trust erected a fence between the public and the Petersham Herd to limit their liability if a member of the public was knocked over by a cow. The National Trust have not made any attempt to inform the public, particularly those visiting the meadows for the first time, to behave responsibly around cattle and respect that this is their home. Ian Brown, who looks after the cows, was unhappy about the fence as he believes it could be potentially dangerous for the herd. He said: “I feel the cows should be left to graze the meadows naturally. If they get chased by a dog and run away they may get caught up in the fence, which is a form of torture. I think it’s totally wrong. The electric fence restricts the herd’s movements leaving them more vulnerable if a dog attacks. To the cows the electric fence is not a natural barrier and is ‘open’ on three sides. In previous seasons the cows take charge of the meadows, grazing, resting, sleeping, etc where they feel safe and moving away from potential danger. Not being able to take responsibility for their own welfare has created great stress in the herd. Mr Silverstone of the National Trust said they want to find a long-term solution for Petersham Meadows, to ensure it is a safe place for all users. The meadows are less safe in 2012 than in recent memory. The blog entry Health & SafetyRoulette is the most recent example. The National Trust is holding a series of community workshops in September to work with residents to find possible solutions to keeping the cows on the meadows. The local community have attended two Public Meeting and 93% do not want the fence. The National Trust thinks that the local community don’t understand what they are trying to do. 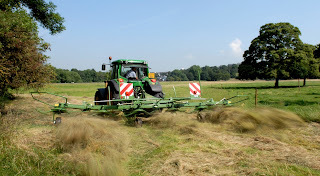 Whereas the local community want their meadow, their heritage and their relationship with the herd restored. 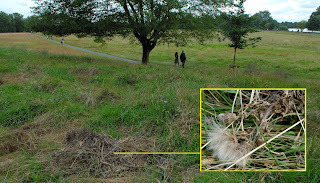 ‘Petersham Meadows is a unique setting and should not be treated in generic terms. It is not a zoo, but an interactive environment for all to enjoy. To do this [fence in the cows] is to not understand the special nature of the area and introducing these foreign elements will always tip the scales in a delicately balanced environment and will almost certainly introduce further problems, as I have already experienced firsthand.